Manage large and geographically dispersed environments and increase the performance of applications with opHA. Delivers Opmantek's high-performance engine, in a high scale and high availability environment, including geographical distribution of the system and overlapping IP address ranges. 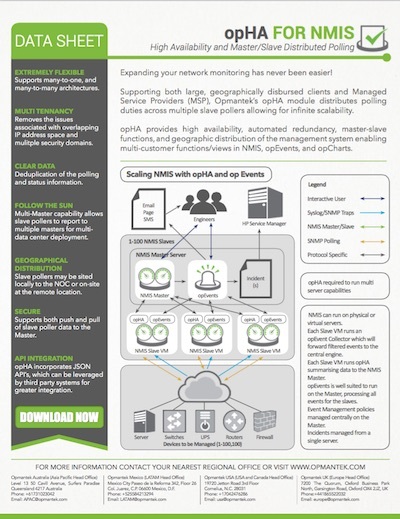 Telcos, banks and Managed Service Providers (MSP) use Opmantek’s opHA module to distribute polling duties across multiple slave pollers allowing for infinite scalability. 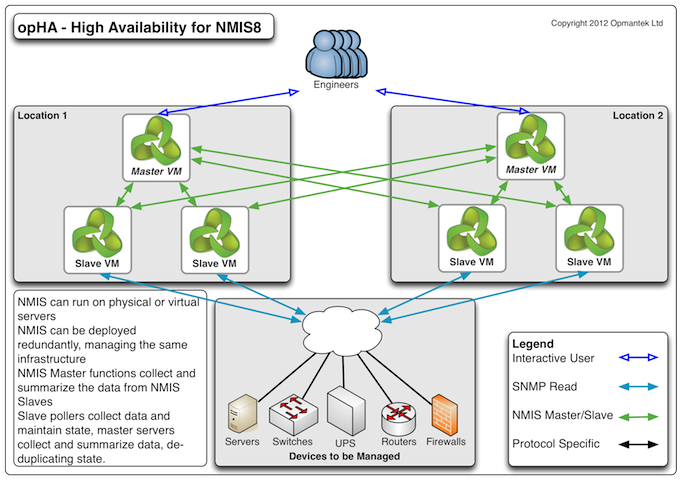 opHA provides high availability, automated redundancy, master-slave functions, and geographic distribution of the management system enabling multi-customer functions/views in NMIS, opEvents, and opCharts. Supports many-to-one and many-to-many architectures. Removes issues associated with overlapping IP address space and multiple security domains. Deduplicates the polling and status information. 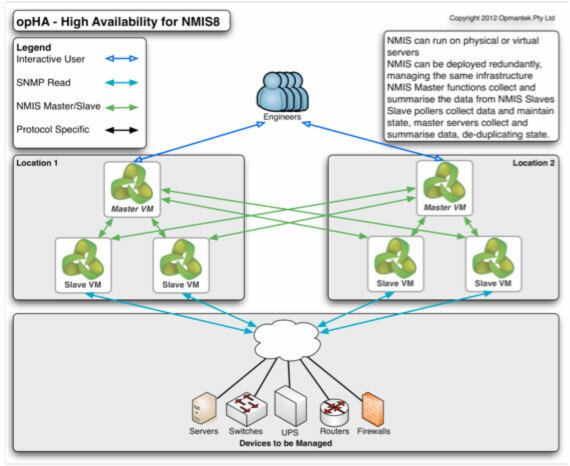 Multi-Master capability allows slave pollers to report to multiple masters for multi-data center deployment. Slave pollers may be sited locally to the NOC or on-site at the remote location. Supports both push and pull of slave poller data to the Master. Download the opHA datasheet here.